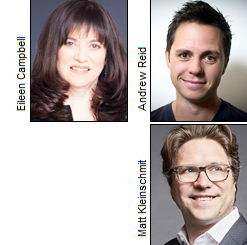 Former Millward Brown Global CEO Eileen Campbell has teamed up with Vision Critical founder Andrew Reid and his sister Jennifer, to launch a holding company called Reid Campbell Group, serving as a 'launch pad' for innovation in consumer insights. The newly formed group has already launched two companies: insight tech business Rival Technologies and full-service research agency Reach3 Insights, both of which will use conversational, mobile-first techniques to integrate the opinions of young and multicultural consumers. Rival Technologies is led by Andrew Reid, while Reach3 Insights will be led by former Ipsos and Vision Critical executive Matt Kleinschmit. Kleinschmit recently served as MD, Consumer & Shopper Insights at Maru/Matchbox, which was formed in 2016 through Maru's acquisition of Vision Critical's North American Research Consulting division. Reach3 will use Rival's technology and work on behalf of brands to capture insights using conversational and other immersive experiences, intelligent analytics and game-changing, storytelling deliverables. Campbell says the business has been formed to reflect the rapidly changing communication methods consumers use today to deliver meaningful business results. Kleinschmit adds: 'At the dawn of the millennium, marketing research moved online. In the 2000's it evolved into online communities and interactive tools. We believe that we are now entering the third wave of modern marketing research, characterized by agile, organic and immersive conversational insights captured at scale through the mediums used by the digital generation'. Web sites: www.reidcampbellgroup.com , www.rivaltech.com or www.reach3insights.com .